The recently concluded midterm campaign and elections demonstrated the lengths a candidate will go in the name of victory. One senatorial bet identified himself as the political version of an infamous television fantasy-action hero. Another candidate called herself the mother of the people. One senatoriable branded herself as the most respectful by virtue of her surname. Political operatives call this ‘branding’, similar to the marketing strategy of knowing the right name, color and packaging that will attract buyers. Since the goal is to sell more, marketing strategists fit the name, color and packaging to the target market. Political operatives do the same. The difference is operatives aim to gain votes and not profit from a specific income bracket or age group. Branding is not bad, so long as it does not veer away from the truth. The problem is that during a mass hysteria that is Philippine elections, the content of truth does not matter. What matters is who said that truth and how that person delivered it. An Orestes or an Andromache appear in person? of gaudily-uniformed majors and constables. The Noli showed how politics and religion combine to mold the truth for a person’s interests. The prevalent medieval intellectual trend in the Philippines when Rizal wrote the Noli was to anoint persons whose voice is equivalent to the ultimate source of truth and authority, God. As friars embody that role, they had the right to voice out “truth” to the people, both to the masses and to the colonial political appointees from Spain. Thus the friar’s power extends beyond the church pulpit and reaches as far as the Palacio del Gobernador. Yet the medieval view slowly gave way for liberal ideas, thanks to the advent of new technologies from Europe that the ilustrados of the 19th century used to their advantage. These ideas introduced a new perspective on seeking the truth: authority must be backed by science of empirical knowledge. Rationality became the basis of seeking truth as man—discovering his abilities to unearth truth on his own—sought to abide the laws of nature by letting his mind evolve, as it is continuously triggered by curiosity. A person who chose to rationalize his quest for truth eventually becomes an intelligent and creative soul. These souls are, in Rizal’s words, “A Caesar”, abhorred in a society that requires conformity. The mediocre ones are what Rizal calls “rats”. They are those who despise deviance, for deviance is change and change is what they sought to avoid in a system that benefits them the most. The content of truth during political campaigns does not matter so long as it is delivered with conviction, humor and grandeur. A Harvard graduate becomes a fantasy-action hero. A political apprentice transforms to be the mother of the voters. A former appointee becomes the most respectful by virtue of her surname. Branding blurs the line between Caesars and rats. Perhaps the greatest tragedy is that more than a century ago, Rizal wrote in the foreword of the Noli that he strived to remove the curtain that blinds the eyes of the Filipinos. After almost six decades of teaching the Noli and El Fili in secondary schools throughout the country, it seems the curtain remains unmoved: majority of Filipinos vote for candidates whom they can identify with, never mind their qualifications or past political experience. And yet even if Rizal intended the electorate to choose rationally than emotionally, his prime intention is aligned with that of the ilustrados: to give the Filipinos the ability to choose the leaders of their own country. The exercise of this right either emotionally or rationally does not matter. More than a century ago, Rizal was one of those who laid the foundations towards the establishment of a democratic country. It is for the readers of the Noli and El Fili to continue building these foundations by exercising their right to choose—even if the choices include some Caesars and rats. Katapat ng flagpole sa southbound lane (papuntang CCP) ng Roxas Boulevard ay isang orasan. Mayroon itong base na gawa sa semento. 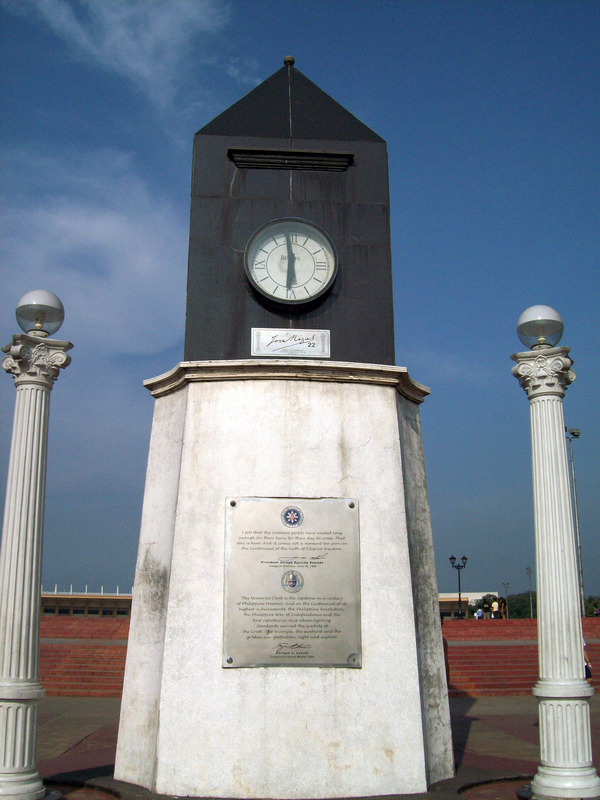 Hugis obelisk naman na kulay itim ang pinaglalagyan ng orasan. Dalawang haligi na may disenyo ng Corinthian order ang nasa magkabilang gilid. Mayroong tig-isang bumbilya sa tuktok ng bawat haligi. Dalawa ang orasan, isa na nakaharap sa Roxas Boulevard at isa na kaharap ng Quirino Grandstand. Ang parehong orasan ay donasyon ng donasyon ng isang Swisong kompanya na gumagawa ng orasan, ang Bulova. Umabot ang halaga nito sa US $54,000.00. 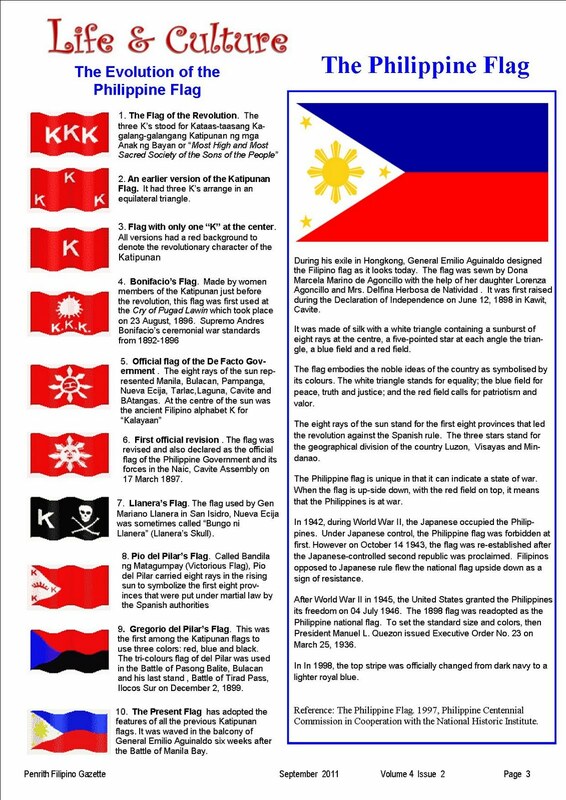 Ito ang itsura ng isa sa mga orasan sa malapitan. As a people make their mark in building a nation, they leave behind footprints that the future generation will study. Hence, History serves as an aggregate of the different studies man did since time immemorial. To degenerate it as a subject for memorization is to mock the legacy of those who helped build the nation. Humans have limited memory. They tend to remember what they value and forget the trivial things, however important it is. Thus, to teach History is to integrate all of humanity’s achievement so that it provides a clear picture of the past. In this process, the historian relives the different actions and emotions of men in a particular historical era. To do this, he must associate a particular historical action to the students’ experience. The students will understand History if they can link their experiences to those of the past actors. Since History is reliant on texts in gaining knowledge about man’s past, the historian may use literature to rediscover the record of man’s experiences and emotions. Literature builds and strengthens the memory of a people. The historian must use it as a springboard in making his students understand the society of a particular era. In so doing, History becomes a bit of Sociology, Economics, Political Science, Philosophy and Science—all rolled into one. Literature then shows man his history as History uses literature to build and strengthen the memory of men. This paper seeks the unity of literature and history through three novels: Charles Dickens’ Oliver Twist and José Rizal’s Noli Me Tangere and El Filibusterismo. It aims to discover some parallelisms and analogies of London and Manila during the 19th century that Dickens and Rizal might have placed in their works. This paper also intends to discuss how the three novels transcend the study of literature alone. That is, how the novels can be a tool in linking the experiences of men in the past to the experiences of the readers in present. Towards the end of the 17th century, humans used their senses to obtain knowledge, following Sir Francis Bacon’s idea that as all knowledge passes through the senses; a person gets information from the objects presented to him. This gave birth to the inductive method. The main purpose of the inductive method is to increase knowledge. As such, it does not depend on the congruence of the universal to the particular. One’s concept of the object may be different from the object itself. Bacon’s induction opposed Aristotle’s deduction, which is using true statements (axioms) to prove other statements (theorem) as true. Enlightened men used the inductive method as a way to understand nature. They observed, saw patterns and hypothesized before they reached a conclusion. In using the inductive method, these men paved way for the onset of the Scientific Revolution. The enlightened ones—or the scientists—used reason to solve the problems of their time. Inductive reasoning became the foundation of the scientific method: how scientists used mathematics to understand the world. Using mathematics, scientists produced machines that will help man in his daily life. Inventions prospered during this time called the Industrial Revolution. This Revolution centered in Great Britain, the factories specifically, as it mass-produced goods for the consumption of the growing population. To make these goods, factories needed raw materials. Raw materials came from agriculture. As more and more factories sprang, factory owners exploited natural resources. As the factories became the new sources of income, a New Society emerged. This society is a direct opposite of the Old Society with the farm as main economic asset. Whereas the Old Society fostered cottage industries, New Society introduced the factories. To produce goods in a cottage industry is to rely on human labor. This kind of production is slow, costly and yields low output. On the other hand, factories use machines to make goods. For an employer to have the necessary laborers for this kind of capital-intensive industry is to educate them of the necessary skills to operate the machines they will use or the necessary skills in forming an assembly line for production. 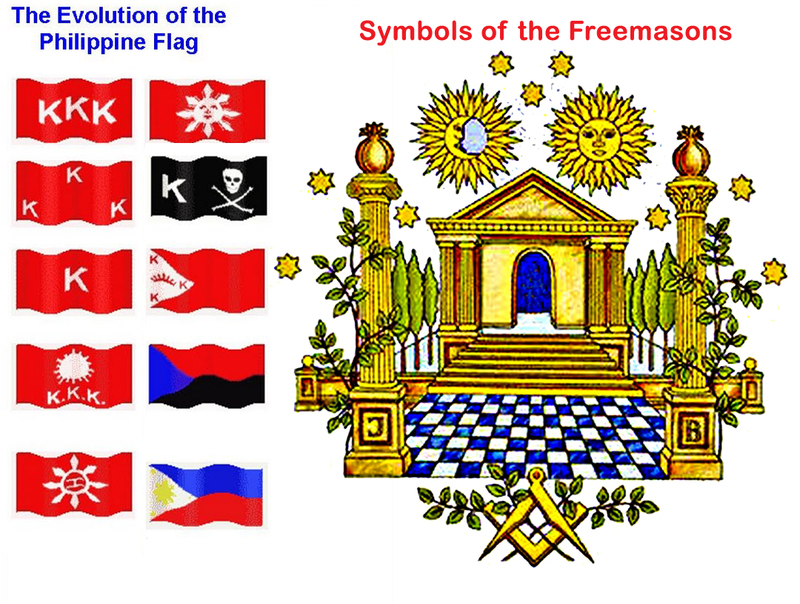 This brings us to the second difference of the Old Society and New Society. Whereas the Old Society promoted a humanistic view of education that creates a holistic person, New Society started a functional view that produced “factory cogs”. The shift in education is a response to the need of society at that time. Fundamental skills replaced morality as the core of education. Religion took a backseat, as reason became man’s main tool to react to the changes of his world. As factories grew so did the communities around them. By then, the factory owners bought the cheap real estate to establish farms for the supply of raw materials. The people who left their jobs as farmers and sought their fortune in the city formed these communities. The farmer became a city dweller devoid of the skills necessary in city life. Eventually, they formed slum areas around the factory. Slums are densely populated areas where sanitation and health were unknown leading to outbreak of diseases. Since people behave in a different environment, the former country people develop their own culture and create a new value system. Slums became areas where the key for survival is to earn money. Land use also changed. This is the third difference of the Old Society and New Society. Whereas the Old Society used land for agriculture, New Society utilized land to build the factory. Agriculture produces goods but it takes time and many expenses to recover the investment. Factories utilized machines to mass produce goods in a short period. These goods promoted consumption, which in turn, means a return of investment for the capitalist. As more and more factories produced more and more goods, capitalists became richer and richer. They became the new ruling class. Landed aristocracy became their equals. As all of these happened, the poor became the social outcasts of London. Employers subjected their employees to horrible labor practices in the factories. As the capitalist wanted more profit, they demanded more goods. This led to long working hours on the laborer’s part, averaging twelve to fourteen hours daily. Employers treated workers like pawns that they employed children to do some chores that an adult worker cannot do. Therefore, the change from Old Society to New Society entails a transformation of the social, political and economic situation of London. All of these take its root when the use of deductive method slowly waned and the inductive method surfaced. Structural change then happens when ideas in a particular historical era contradict the dominant thought and introduces a new one. The Industrial Revolution was the historical era that Dickens captured in his novel, Oliver Twist. He used the character of Oliver for the reader to have a vivid picture of London at the time of the Industrial Revolution. It was an age when Europe experienced the Revolution’s negative effects as workers faced hardships, urban dwellers swelled, traditions were slowly set aside and the spirit of competition grew. All of this happened, as those who control the source of wealth became the ruling class and those who help in generating wealth remained at the bottom of social class. Oliver Twist focuses on the life of an orphan as he experienced city life after escaping the workhouse. As a social outcast, he had no choice but to engage in different jobs such as a mourner for a mortician and a thief. From time to time, Oliver finds himself at the care of good people whenever some events not of his own making render him unlucky. He triumphs at the end and reunites with his lost family. Powerlessness stems from control by others. Oliver as an orphan did not have much opportunity ahead of him. The supervisor of the workhouse where he lived sold him to an undertaker when he wanted more food. He ran away when a co-worker insulted the memory of his mother. Arriving in London, Oliver ran into Jack Dawkins who takes him to a shelter of kids managed by an old man, Fagin. It turns out that the shelter is for children who earn money by pickpocket. This shelter is located at the slums. Fagin is the only adult there. The other adults are in the pubs. When Oliver was able to escape Fagin the first time, the old man was determined to have him back. Fagin feared that Oliver would expose his young gang of thieves to the authorities so he hired Bill Sikes, Fagin’s best thief, to take him back to the shelter. With the help of Nancy, his lover, Bill kidnaps Oliver and takes the child to Fagin. Now back at the shelter, Fagin makes sure that the boy becomes a thief. He tells Oliver to help Bill in a burglary. With the murder threat for not cooperating, Oliver entered the small window of a house and followed Bill’s orders. Certain events constantly tossed Oliver around like a bag of potato chips. He seemed helpless to get himself out of a situation that he knew was not good for him. Oliver followed orders unwillingly yet did not do a concrete action against those who controlled his life. Yet this was only the boy’s natural reaction. He was after all, a child. He depended to those who he thought were the ones who take care of his welfare. A new environment changes individuals who develop a new culture thereby creating a new set of values system. The behavior of people was also different in both places. The people in the country spent time teaching, talking of books and singing. Those in the city were “smoking and playing cards to beguile the time; the crowd were pushing, quarreling, joking”. In Sociology, a mob is a group of people a group of persons stimulating one another to excitement and losing ordinary rational control over their activity. In the cited paragraphs, Dickens showed how busy people dropped everything to take part in the hunt for the ‘thief’. He also detailed how the hunt transformed persons from being individuals to a mob. A single cry served as cue for everyone to have one aim: stop the thief. The people did not think of the consequences of their actions when they hunted the boy for to accomplish their goal was their concern. In the process, they forgot their individual responsibilities. If something bad happened to Oliver during the hunt, no one will take the blame. As people lived so close together, they lose their individuality and this changed them from being persons to being a mob. When this happened, the mob drowned out the few voices of reason in a society. They have created their own culture and their own values system. 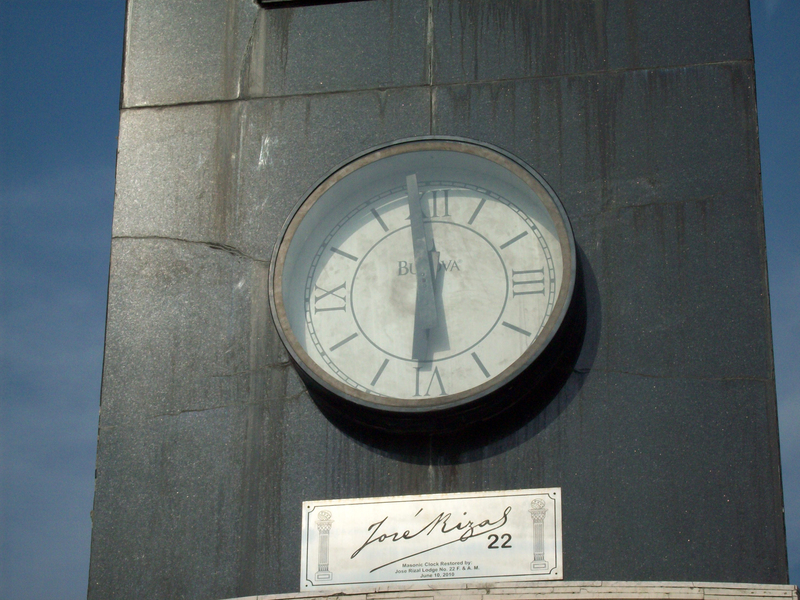 To a similar extent, Manila experienced her own Industrial Revolution. In Great Britain, the shift from the deductive to inductive method served as the Revolution’s nucleus. The core of change inManila is the shift of the dominant thought from conservatism to liberalism that stems from the opening of Manila to the world trade in 1834. Goods entered and exited as the Port of Manila linked itself to the world. Steamships arrived and brought products and ideas (through some books) from Europe. Binondo became the center of trade and the British, American, French, German, Indian and Spanish businesspersons were among those who established their shops there. It maybe the center for trade but the farm remained the economic center that produced the raw materials for export. Transportation of goods from the farm to the city can be tedious so a change in the mode of transportation happened. 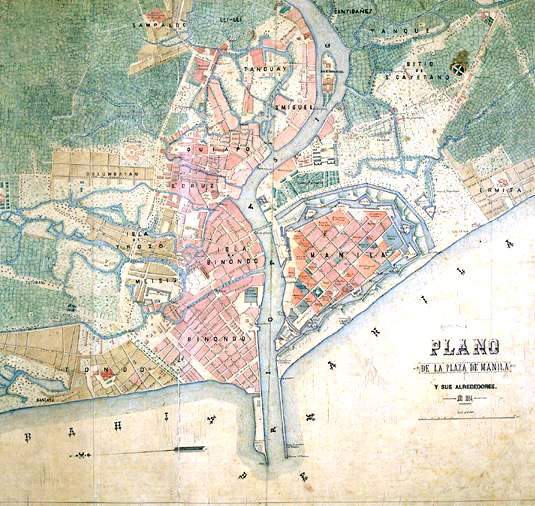 “Spanish military engineers, later, civil engineers applied the most advanced construction techniques in planning Manila.” The Spaniards laid out plans for railways, tramway lines and telegraph lines on 1876, 1878 and 1868, respectively. Potable water was also a priority and authorities finalized a plan on 1882. As merchant-houses flourished, a new class of people emerged: the middle class or the mestizo. They are those who lived close to Intramuros and engaged in the trade at the port that they were able to acquire enough wealth to send their children abroad. Their wealth and their intent to educate their sons of the European way of life triggered la emigracion Europa. Figure 2. 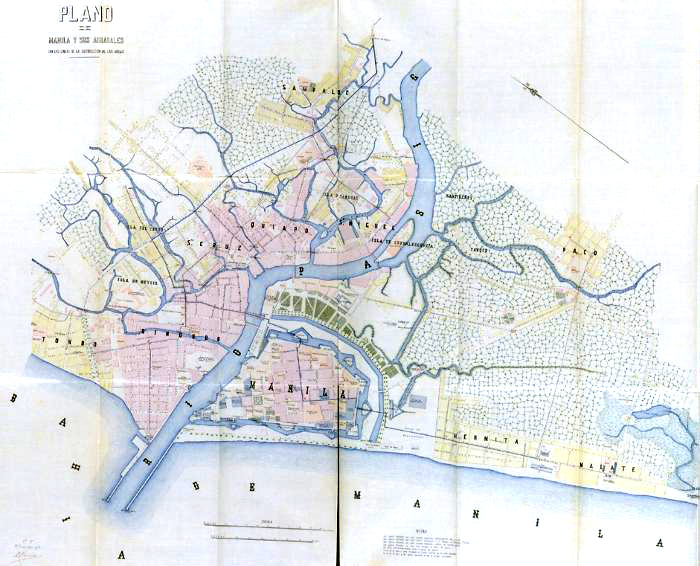 Plan of Manila with the general layout of the different tramways. 1878-1879. AHN. Figure 3. 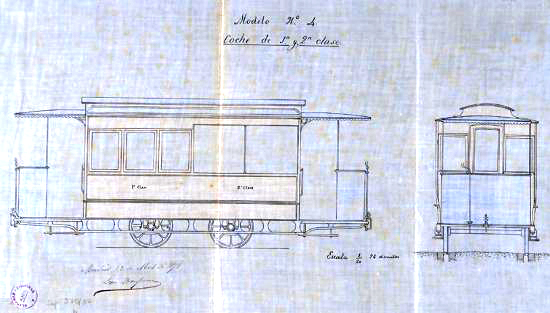 Plan for the 1st and 2nd class carriages for a tramway. Figure 4. General plan for the supply of fresh water to Manila. 1874-75. 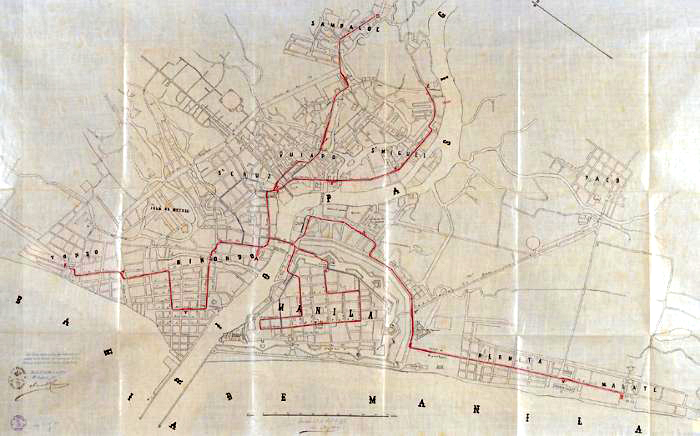 This comprises the distribution layout from Sampaloc, on the outskirts of the city, as far as the Intramuros precinct and the districts near the port. Within the capital itself, subterranean sections were combined with others at ground level. 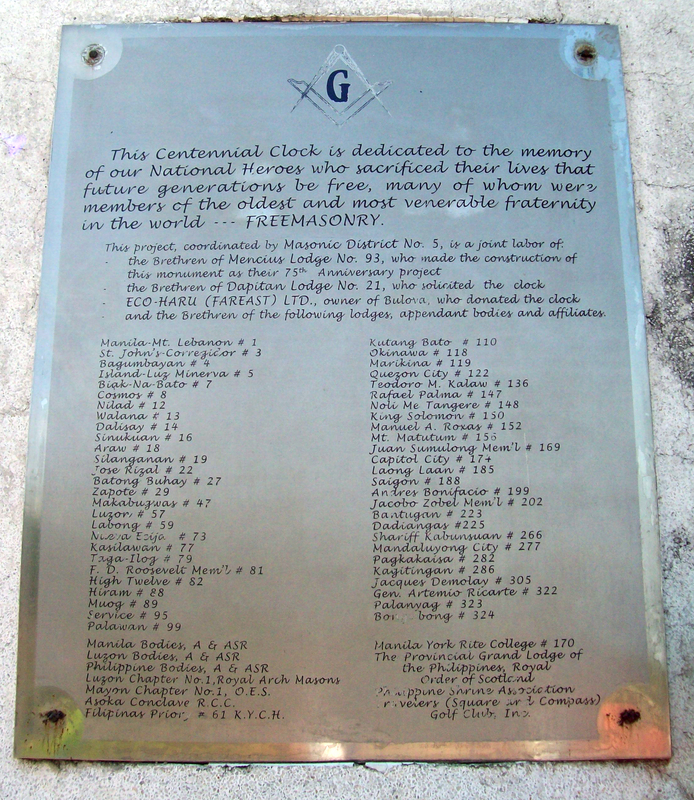 These sons returned as men imbibed with the ideas of the Enlightenment; hence the name, ilustrado. They took liberal ideas seriously because they were educated in the liberal arts, the education of free men. Thus, to oppose the friar is to oppose the Church. To oppose the Church is to oppose God. To believe in liberal ideas is to oppose the figures of authority: the friar, the Church and God. Rizal was partly successful in his aim to portray the Philippines during the Spanish colonization. He wrote both novels in Spanish, the language of the rich and educated in the Philippines. That tells us that the novels are not for the lower class but for the middle and upper classes only. He saw the impoverishment of his fellow Filipinos yet he thought that for them to alleviate themselves of poverty, they must have moral change. Some themes from Oliver Twist parallel to those of the Noli and El Fili. Ibarra returned from his studies in Europe and finds his town almost the same as he left it: the priests—ignorant, scheming and prying—control the religious, political, economic and cultural affairs. Ibarra believed he could change his town if he can establish a school. In the process, he engaged in a “mortal tangle with the conservatism of hierarchy and clergy” as his liberal ideas clashed with the friars’ conservative beliefs. The Governor-General obeyed those who are knowledgeable of the country since he did not know the country that much. He knew that his “advisers” think he is a fool but he still followed them. For Rizal, change should start at the personal level. It is evil inside the human heart that is the root of the evils in society. To reform the heart through education is to reform society. Education is the only way that this change can happen for it fosters the use of reason. The Filipinos’ poverty stemmed from the people’s blind obedience, a result of the people’s inability to use reason in distinguishing right from wrong. The study of a work of literature involves the study of its historical context. It is necessary to inquire on the prevalent intellectual trends when the author wrote that work of literature to analyze the influence of those trends to him. In Oliver Twist, the Industrial Revolution introduced a life too harsh for the workers that inequality became apparent in 19th century London. They became aware of the “glass ceiling” in the workplace that prevents them from reaching the top of the business, no matter how good they are. Writers saw this as an opportunity to exalt the poor. They became the hero or heroine in their novels. Thus began Romanticism in literature. Charles Dickens is one of the many Romanticists of this era. As writers continually wrote works of literature on the same theme, people began to conceive a sensation of power with the number of persons sharing the same feeling. Liberal ideas began to spread as writers portrayed more and more of the inequality they experience in their lives. Literature gave way to the development of the democratic ideas that rocked monarchial Europe in the 19thcentury. the dominance of emotion over reason. When Rizal wrote his two novels, costumbrismo had influenced him as a writer. Costumbrismo is a literary trend where “plots were often mere excuses for the description of country customs; and even when the plot was the main interest, it was often interrupted by the description of peculiar customs rendered in objective detail.” This trend pays attention to local culture while maintaining national culture. Rizal had a faint idea of this when he used the word ‘Patria’ in Amor Patria to refer to the Philippines. The Noli and El Fili retained this trend. Here are works that describe in detail the Philippines and the Filipinos during the 19th century but also echo the ilustrado’s interests, fears and concerns: that Spain should give liberty to the Philippines when she has developed an enlightened citizenry through education. A complete separation from Spain will only result to chaos. Liberty is for those nations ready for self-government. 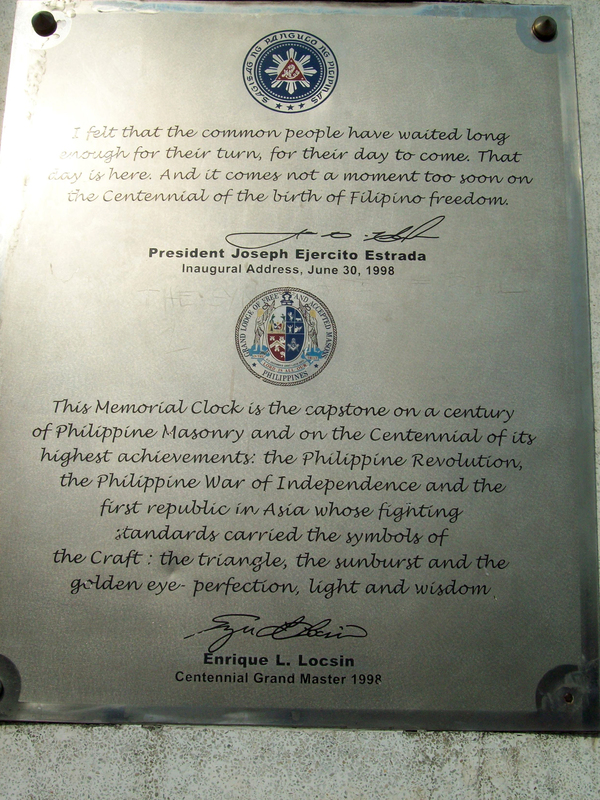 The present educational curriculum in secondary schools employs the teaching of Rizal’s novels. It is necessary then for the teacher to interpret them in the historical context and not on the literary level alone. Dickens wrote his novels as commentaries on the social issues of his time as Rizal wrote his novels to start a ‘revolution from above’. To confine the discussion of these novels literally is to neglect the role of literature in recording man’s history. The study of History transforms these novels into tools by which men link their experiences in the past to the experiences of the readers in present. Hence, the historian must study the necessary strategies on how teachers must teach the Noli an El Fili in secondary schools using this train of thought, but that is for another discussion. Hornedo, Florentino H. Ideas and Ideals. Manila: University of Santo Tomas, 2001. Rizal, Jose. Noli Me Tangere: a completely new translation for contemporary reader. London: Longman, 1961. _________. The Subversive (El Filibusterismo): a completely new translation for contemporary reader. New York: W.W. Norton, 1968. Gabriel, Pedro, “An Outline of A Toynbeean Approach to Philippine History during the Spanish Regime (II)”, Philippiniana Sacra, Vol XVII No. 49 (1982): 7-75. Dickens, Charles. Oliver Twist. [Ebook online] accessed on 23 March 2011; Available from: http://www.planetebook.com/ebooks/oliver-twist.pdf. ; Internet. Ocampo, Ambeth. “Looking Back : Pre-Spanish Manila”, [article online] Philippine Daily Inquirer, 25 June 2008, accessed on 24 March 2011; available from: http://globalnation.inquirer.net/features/features/view/20080625-144587/Pre-Spanish-Manila; Internet. Rizal, Jose. Letter to the Young Women of Malolos. 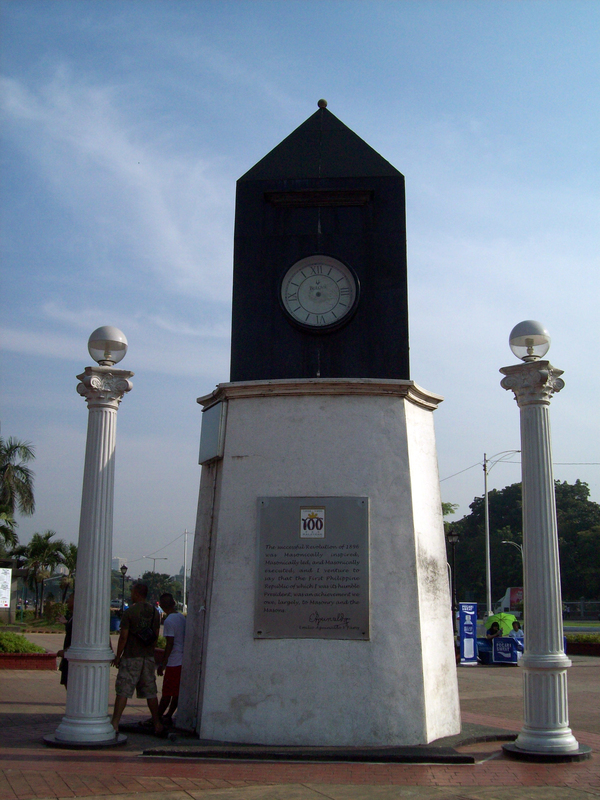 [Webpage] accessed on 29 January 2011; available from http://www.oocities.com/mcc_joserizal/work_malolos.html; Internet. _________. The Philippines A Century Hence. 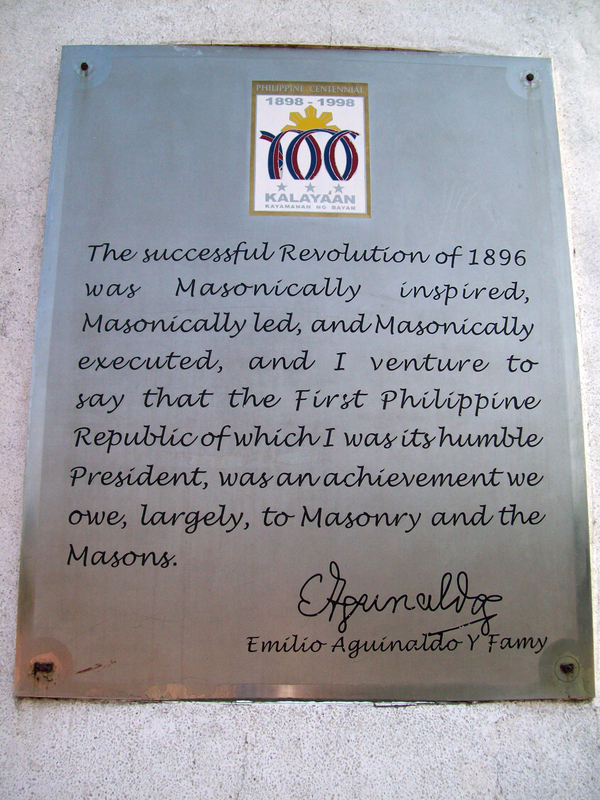 [Webpage] accessed on 29 January 2011; available from http://www.ebooksread.com/authors-eng/jose-rizal/the-philippines-a-century-hence-azi/1-the-philippines-a-century-hence-azi.shtml; Internet. Philippine Academic Consortium for Latin American Studies. Manila Extramuros. [Research paper online] accessed on 23 March 2011, available from http://www.paclas.org.ph/Manila%20Extramuros.pdf; Internet. The Gran Manila. [Webpage] accessed on 20 March 2011; available from http://www.aenet.org/manila-expo/page21.htm; Internet. Mob. [Webpage] accessed on 23 March 2011, available from: http://dictionary.reference.com/browse/mob. ; Internet. This is a summary of Dr. Hornedo’s discussion last 5 February 2011. The topic was, if I recall it correctly, ‘Transition of Ideas’. I took the liberty of entitling it that way so as to divide the second part into four sections. Charles Dickens. Oliver Twist. [Ebook online]( accessed on 23 March 2011); Available from: http://www.planetebook.com/ebooks/oliver-twist.pdf., p. 370; Internet. Mob. [Webpage] (accessed on 23 March 2011), available from: http://dictionary.reference.com/browse/mob. ; Internet. Philippine Academic Consortium for Latin American Studies. Manila Extramuros. [Research paper online] (accessed on 23 March 2011), available from http://www.paclas.org.ph/Manila%20Extramuros.pdf; Internet. Ambeth Ocampo. “Looking Back : Pre-Spanish Manila”, [article online] (Philippine Daily Inquirer, 25 June 2008, accessed on 24 March 2011); available from: http://globalnation.inquirer.net/features/features/view/20080625-144587/Pre-Spanish-Manila; Internet. The Gran Manila. [Webpage] (accessed on 20 March 2011); available from http://www.aenet.org/manila-expo/page15.htm. ; Internet. Pedro Gabriel, “An Outline of A Toynbeean Approach to Philippine History during the Spanish Regime (II)”, Philippiniana Sacra, Vol XVII No. 49 (1982). Florentino H. Hornedo, Ideas and Ideals (Manila: University of Santo Tomas, 2001), 102. Jose Rizal. The Philippines A Century Hence. [Webpage] (accessed on 29 January 2011); available from http://www.ebooksread.com/authors-eng/jose-rizal/the-philippines-a-century-hence-azi/1-the-philippines-a-century-hence-azi.shtml; Internet. Jose Rizal. Noli Me Tangere: a completely new translation for contemporary reader. (London: Longman, 1961), 99. Hornedo, Loc. cit., p. 118. Jose Rizal. The Subversive (El Filibusterismo): a completely new translation for contemporary reader. (New York: W.W. Norton, 1968), 54. Jose Rizal. Letter to the Young Women of Malolos. [Webpage] (accessed on 29 January 2011); available from http://www.oocities.com/mcc_joserizal/work_malolos.html; Internet. In Spanish, it means “Motherland”.